“Very well organised, friendly, and the sign posting was spot on. We are very blessed to live in such a beautiful part of Wales, a beauty and terrain that is taken for granted by most of those who live locally. 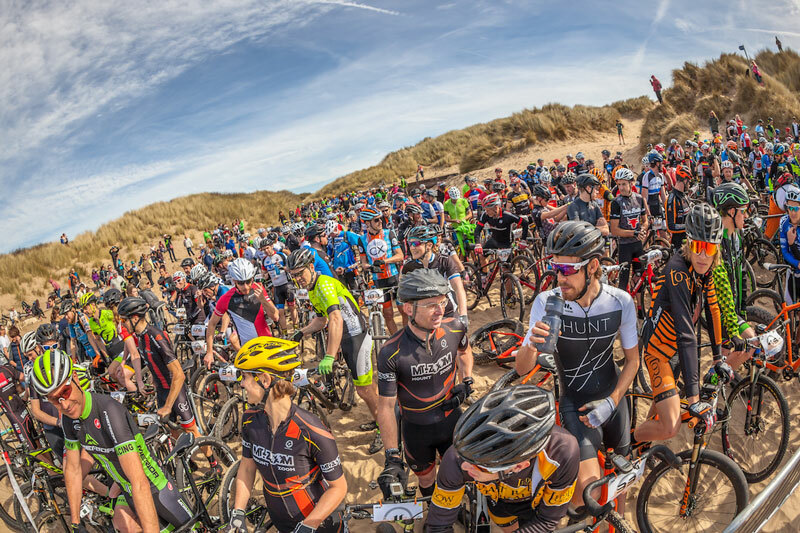 The mission was simple, to create the UK’s toughest sportive, but at the same time create a route that offered amazing scenery and some of the best riding you can experience anywhere in the UK. It was perhaps unsurprising given the difficulty of the route that the level of non-starters was so high. An influx of riders pulling out in the weeks leading up to the event allowed lots of people to trade places and get a last minute ride, but even so almost 25% of those entered didn’t make it to the start line. Those brave riders who started became the first people to ever tackle The Monster and the tough riding started from the very beginning, with just 5km on the flat before the first climb, perhaps the most evil of them all! After the initial sting, riders had flowing roads across the Usk Reservoir area and then the silky smooth surface on top of the Epynt Mountain. Although climbs were relatively frequent, the beginning was almost certainly the easiest part. After the first feed station riders climbs from Abergwesyn over a series of high mountain roads, including Devil’s Staircase. All the higher parts were within the cloud, making it a bit damp and spoiling what would have been incredible views. As riders dropped into Tregaron the mirky weather ended, with brighter skies and warmer weather making for much more pleasant riding conditions. Out of Llandewi Brefi, where Dafydd was nowhere to be seen yet another climb, onto high ground and yet more fresh tarmac. For a road that probably sees single figure car traffic a day, it must surely have been a cyclist who decided that such a fantastic surface was needed! This middle third of the route was most certainly the toughest, with many long climbs and lots of steep gradients. By feed station 2, which came after 113km the riders had 2500m of climbing in their legs already, a figure that would keep rising steadily for the final third, climbing again and again, with incredible views on Llanllwni Mountain and the fantastic fast and open descent. The final section, leaving the final feed station after 152km became steep, with frequent short, sharp climbs and then a fantastic final descent lasting several kilometres, leaving riders with just a short 2km dash to the finish! One by one the riders arrived at the finish, most of them feeling rather tired, but everyone seemed to be smiling and that was fantastic to see. Thanks to everyone who came to tackle The Monster, you made all the hard work worthwhile. A massive thank you to all the staff who volunteered their time and baked all the amazing cakes and flapjacks we had at the feed stations. For those who didn’t make it this year, we hope to see you in 2015! Date TBC, venue – Llangadog.